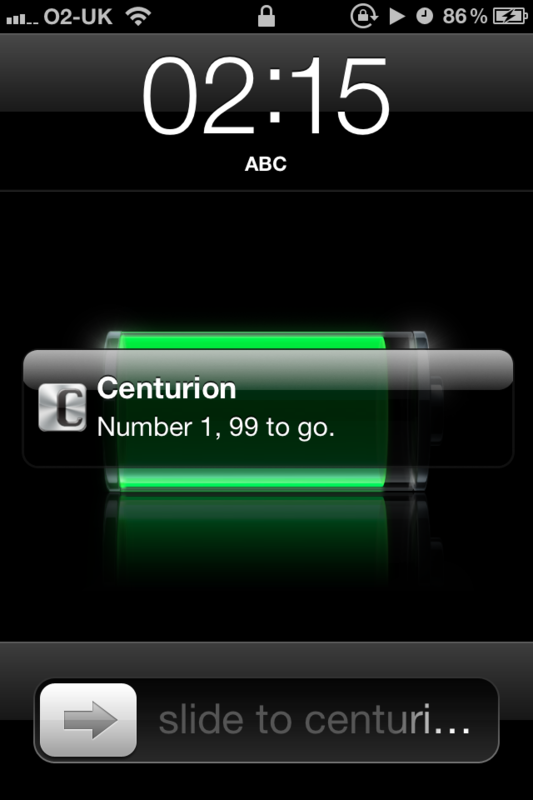 The Centurion timers allows you to specify the number of minutes you'd like to play for and alert you every minute. 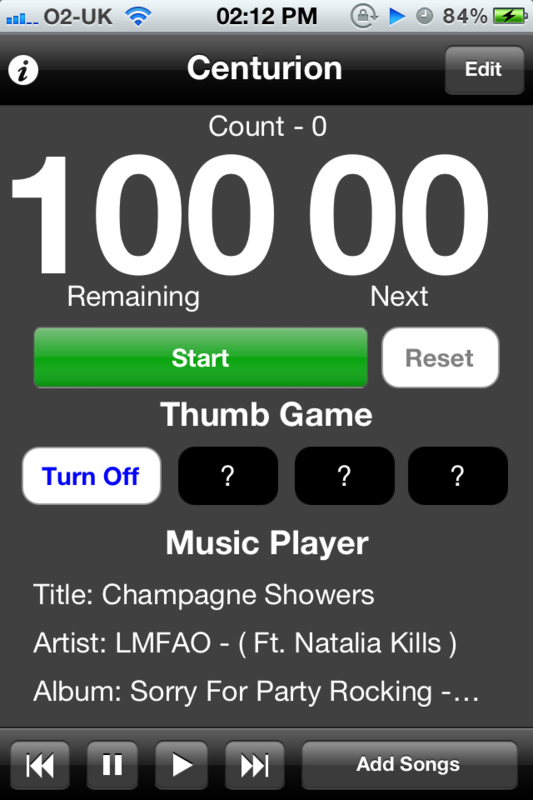 You can also choice background music from your playlist which will not interrupt the game. 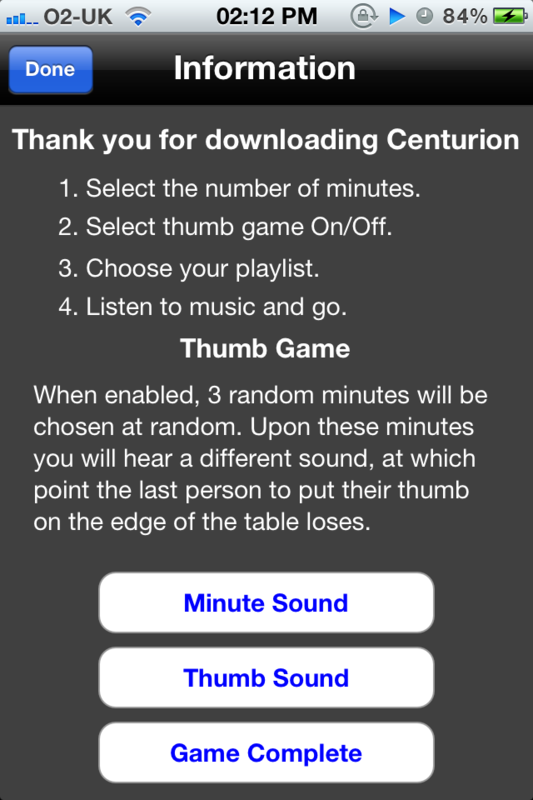 The thumb game will generate 3 random minutes during the game which will play a different sound. The last person to place their thumb on the edge of the table loses.